Greyhound M8 was an American 6x6 light armoured car produced by the Ford Motor Company during World War II. It was used by the US and British army in Europe and the Far East until the end of the war. 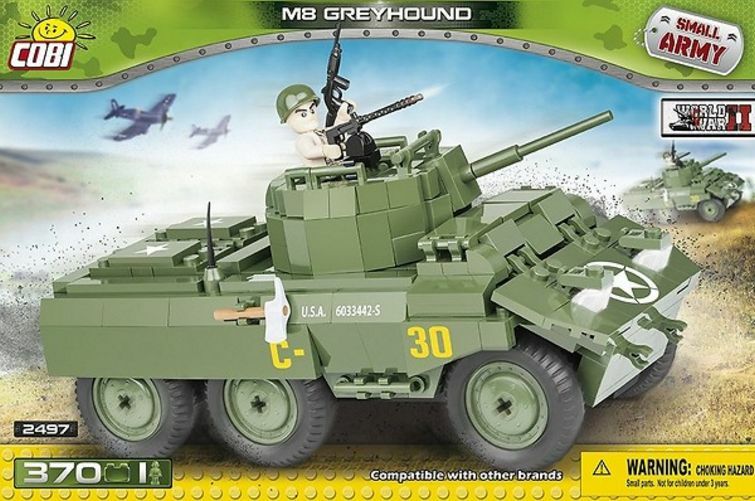 ‘Greyhound’ was a British nickname for the M8, but seldom if ever used by the US. It entered combat service with the Allies in 1943 to serve as the primary basic command and communication combat vehicle. M8 was supposed to come up to requirements of tank destroyers, hence, it was finally changed into armoured vehicle. Ford’s model T22E2 was the one to enter mass production. There were around 11,000 M8s produced.